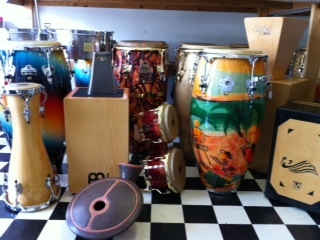 Here at Lalo's Music, we specialize in ethnic percussion instruments of all types. You'll find shekeres, cajons, congas, timbales, bongos, djembes, ngomas, and a wide variety of other ethnic percussion instruments. If you're looking for anything in particular, please give us a call. More than likely we will carry, or will be able to order, any specialized ethnic percussion instrument you are looking for! The most recorded cajons in the history of Flamenco, Fusion, and World music. Hand made and individually tested for sound duplication and quality. Only the finest woods are used. Designed and manufactured by Mario Cortes for LP. 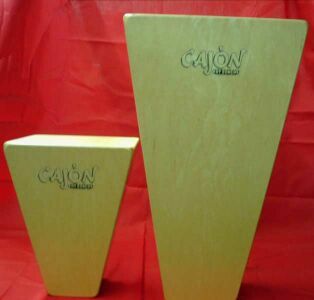 The Fat Congas Cajon is a modern adaptation of traditional Cuban and Peruvian cajones. In Cuba, the cajon was used as a substitute when drums were scarce. The invention of the cajon is generally credited to dockworkers playing rumba on boxes and crates during break and after work. 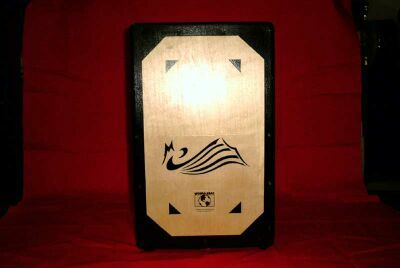 Over time, the cajon acquired permanent musical instrument status with a repertoire of songs and dance rhythms known as Yambu. The Fat Conga Cajon is constructed from Birch plywood. Joints are glued and lock mitered for maximum strength and durability. Careful attention has been given to developing a cajon that produces tonal qualities to fit a variety of traditional and contemporary musical styles. 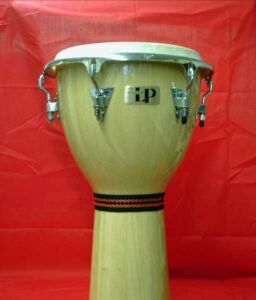 The LP Tambora is essential for performing authentic Merengue -- the rhythm of the Dominican Republic. The instrument is traditionally played with the drum on the lap and hit with a beater on one end and a bare hand on the other. Crafted from specially selected, kiln dried, environmentally friendly Siam Oak. 11" diameter heads have natural rawhide skins. Wood beating block is mounted on the shell for added durability. Black nylon strap, a tuning wrench, LP Lug Lube, and wooden beater included. Made of kiln dried, environmentally friendly Siam Oak. Deep bass tones and crackling highs: all with the convenience of mechanical tuning. 12 1/2" diameter goat skin head. 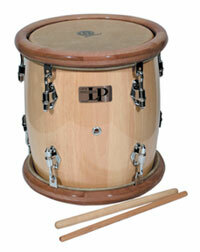 25" tall drum can be used in percussion set-ups or in addition to congas. Great addition to expand the basic conga range. Light enough to play standing with a strap. Decorative fabric band around the "waist." Tuning wrench, and LP Lug Lube included.